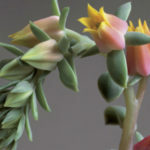 Echeveria gibbiflora var. 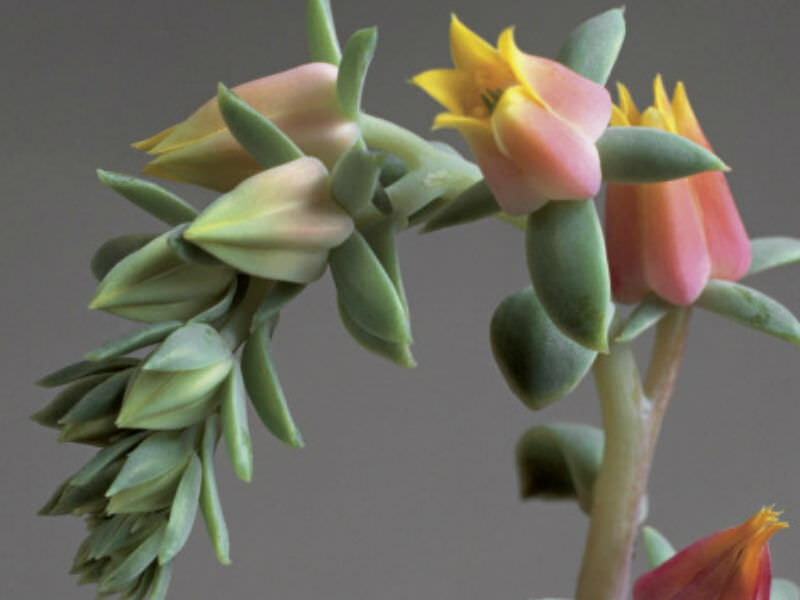 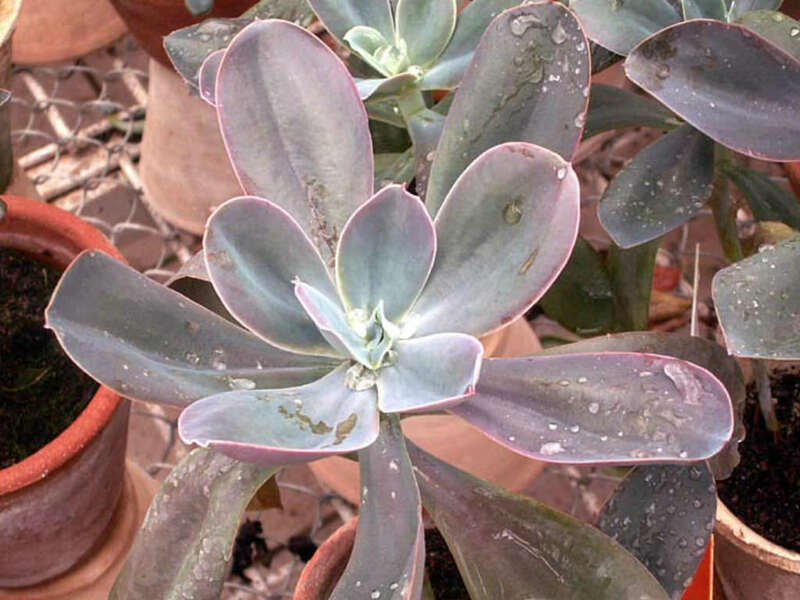 metallica is a is the natural cultivar of Echeveria gibbiflora. 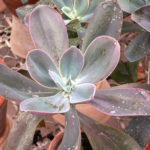 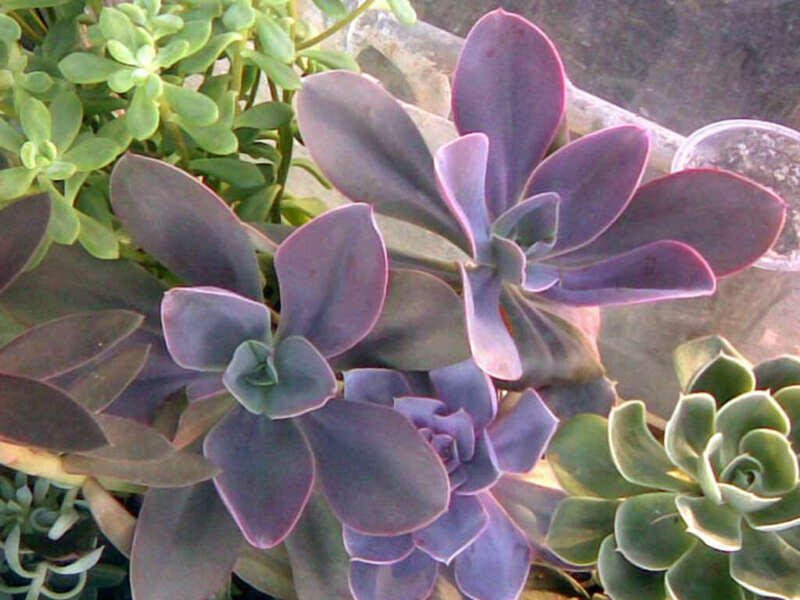 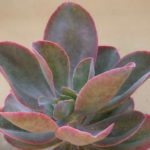 It is succulent evergreen perennial with short-stemmed rosettes of spoon-shaped, wavy-edged, metallic bronze-green leaves with pink margins, up to 8 inches (20 cm) long. 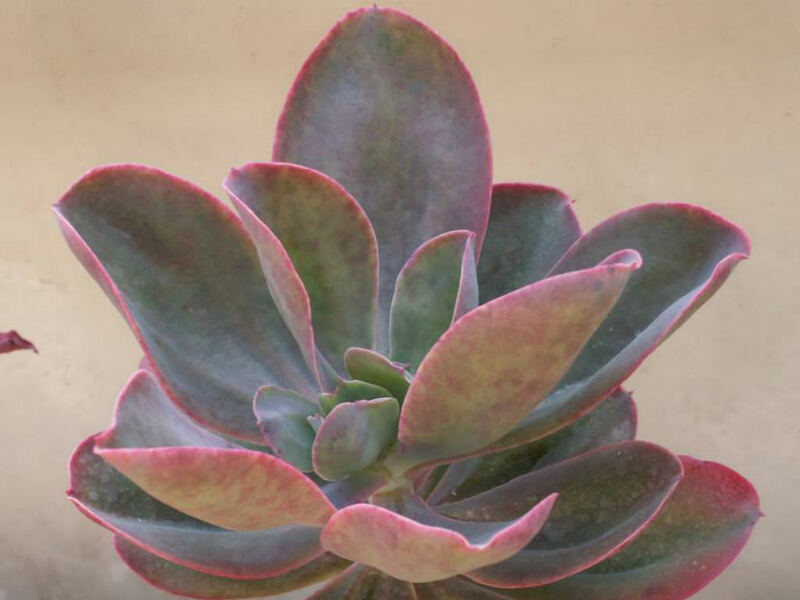 Racemes of bell-shaped reddish flowers are yellow inside.